A more appropriate sized roasting pan was found. Stuffing was put in, baked, and then removed. Black Friday was also a whirlwind of fun - shopping, eating and more shopping! A few Christmas dress inspirations were also found! 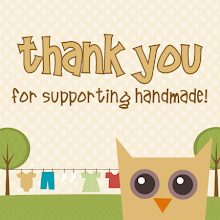 Stop by the Owly Baby shop and use the code NOVEMBER10 to get 30% off everything (11/26-11/29). I love your striped wall! Did you know you can shorten your long links with Shortest and get $$$ for every click on your shortened urls.